Susan Larson hosts a monthly conversation with authors, artists, and audience members, in conjunction with Art of the City: Postmodern to Post-Katrina, presented by The Helis Foundation. 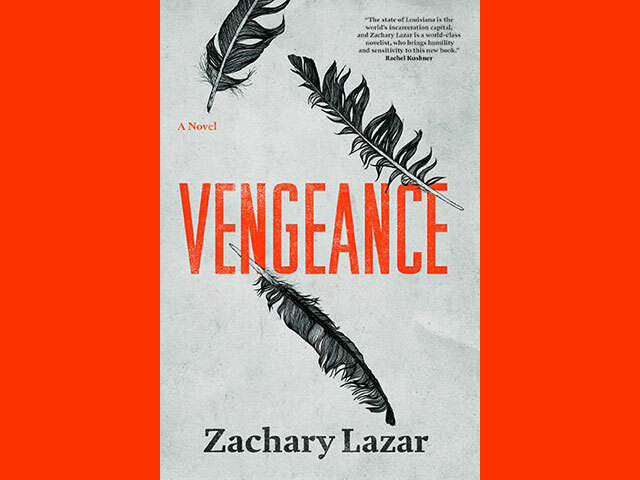 This month's event will feature Zachary Lazar's Vengeance: A Novel and photographer Deborah Luster. Admission is free, and registration is required. As the narrator attempts to sort out what happened in King’s life—paying visits to his devoted mother, his estranged young daughter and her mother, his girlfriend, his brother, and his cousin—the writer’s own sense of identity begins to feel more and more like a fiction. He is one of the “free people” while Kendrick, who studies theology and philosophy, will never get his only wish, expressed plainly as “I just need to get out of here.” The dichotomy between their lives forces the narrator to confront the violence in his own past, and also to reexamine American notions of guilt and penance, racial bias, and the inherent perversity of punitive justice.